The ever-popular Solong shirt from Bellerose cut here in a cool stripe colourway. Works perfectly teamed with tailored trousers or denim. 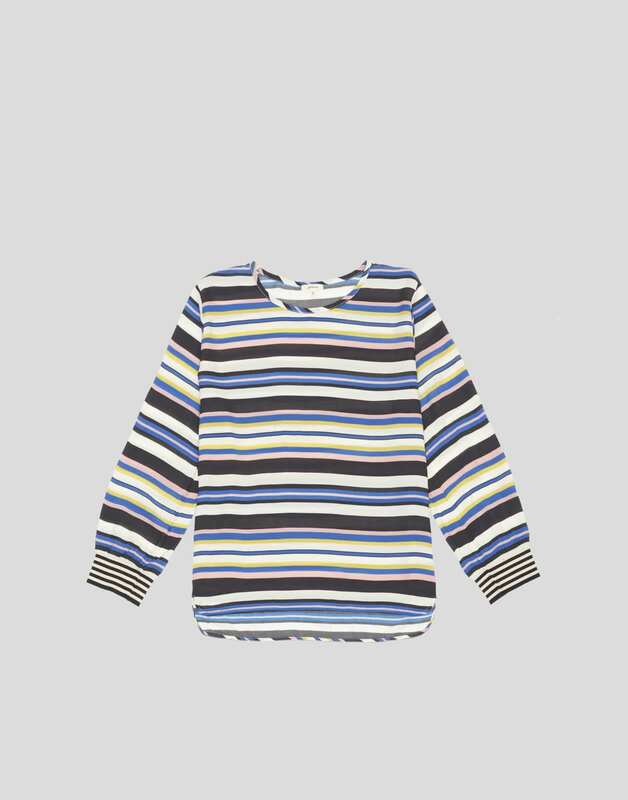 With a 7/8 sleeve with a striped cuff and a round neckline. KJ's Laundry in London, United Kingdom.